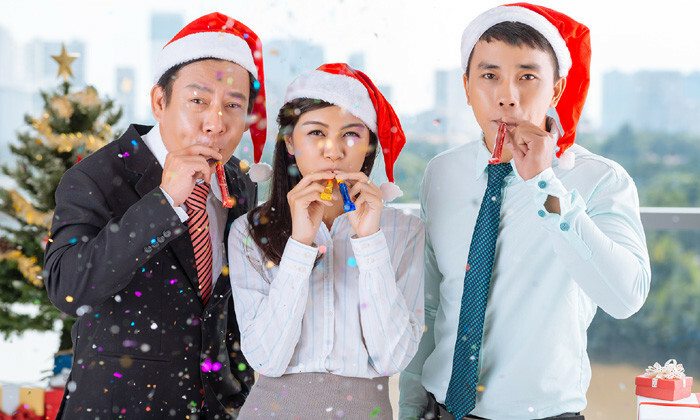 With Christmas just round the corner, one question bound to be on your employees’ minds is, will there be an office holiday party? Unfortunately, according to a survey by the Society for Human Resource Management, fewer companies will be throwing office holiday parties this year. Polling 385 HR professionals, the survey found that 30% of respondents indicated that their organisations do not usually have an end-of-year holiday party, almost double that of 2012 (17%). Thankfully, 65% had indicated that their organisation will have an end-year/holiday party open to all employees, at least for 2015. Surprisingly, it is the smaller organisations (1 to 99 employees) that are more likely to have a party than the larger organisations (2,500 to 24,999 employees). Of those who have indicated that there will be a party, 83% divulged there is a budget for the event with most (80%) indicating that the 2015 budget was about the same as the 2014 one. Almost half (45%) indicated their budget was larger in 2015 compared to five years ago (2010) and only 22% indicated having a smaller budget to work with. A majority of the parties will be held offsite (67%) while just over a quarter (27%) will be held onsite. Slightly more than half of the parties will include gift exchanges, with 43% conducting them within departments, 7% company-wide, and 3% both within departments and company-wide. To prepare for this gift-giving season, 55% of HR professionals indicated their organisations will allow employees to shop online at work during lunch and breaks. Sadly, about one-third (32%) indicated their organisations frown upon the idea and will not allow personal online shopping at any time. Additionally, though slightly less than that of 2013 (32%), 23% of HR professionals indicated their organisations will give non- performance-based gifts to all employees at the end of the year. On to one of the most important questions – will there be alcohol? And it seems like the answer is mostly yes. More than half (59%) of HR professionals indicated their organisations plan to serve alcohol at their party. Of those planning to serve alcohol, 47% plan to regulate alcohol consumption at the event with the most popular method being to drink tickets or having a drinks maximum (71%). In the spirit of giving, a majority of HR professionals (82%) revealed that their organisations are participating in charitable donations/drives during this joyous season, an increase from 2012 (74%).